John Marchesella has been a professional astrologer since 1976, and is certified by the National Council for Geocosmic Research (NCGR). He is also a frequent public speaker at professional events such as the United Astrology Congress and local conferences, as well as at events for the lay public with a down-to-earth approach to astrology. His articles have appeared in many professional journals and newsletters. Some of them can be found here or on www.astrologynyc.org. 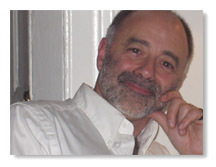 He has also written numerous columns for popular magazines and websites, such as HomeStore.com and AstroToGo.com. Look for his contribution to “Under One Sky,” an innovative anthology on astrological approaches. John’s association with the astrology community has been long and involved too, including serving as a past president of the New York Chapter of the NCGR, and since 1992, he is on the Board, working as Education Director and coordinating its annual Education conference. He also designed the astrological curriculum for the New York Open Center in 1997 and an easy-to-understand introduction to astrology at the Learning Annex in 2002. In addition to his astrological credentials, John is a bereavement counselor and certified psychotherapist. He has a full time astrology practice in New York City, but is a frequent visitor to clients in Los Angeles and eastern Long Island as well as holding consultations over the telephone and on Skype with other out-of-towners. In previous years, John was well-specialized in topics, such as love, work, psychoanalytic interpretations of the natal chart, or prediction. However, time and experience has shown that the astrologer needs only to be true to the horoscope in order to best serve the needs of the client. His approach is based on the adage: For every season, there is a purpose under heaven. Astrology indicates what “season” we’re born into, and therefore, what purpose we serve in life, as well as revealing the meaning of the current time.